The HUB is a unified clinical research methods and services group at the Li Ka Shing Knowledge Institute of St. Michael’s Hospital – fully affiliated with the University of Toronto. This group integrates the clinical research methods and operations infrastructure of the Applied Health Research Centre (AHRC), the health economics expertise from the Centre for excelLence in Economic Analysis Research (CLEAR), and the knowledge translation expertise from the BreaKThrough Knowledge Translation (KT) Services. 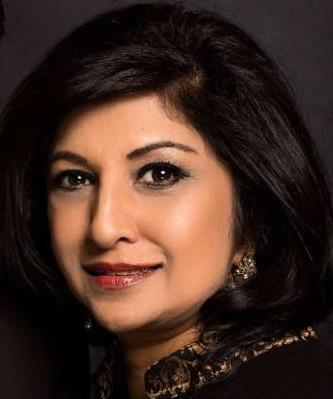 Nozhat Choudry, a senior executive for over fifteen years in the global pharmaceutical and medical device industries recently joined the HUB in a business development capacity. She has experience in all aspects of device and clinical drug development from first-in-man to regulatory approval and post-marketing. What is a key challenge that pharmaceutical companies face when planning a study? One of the biggest issues for pharmaceutical companies is patient recruitment due to several reasons. Companies are doing placebo-controlled studies, because an entity such as the FDA likes to see a placebo-controlled study. It can be very difficult to find patients that aren’t taking certain types of medications because they are already on so many medications. A study involving inhaled corticosteroids, for example, could be very challenging to recruit for. A physician can’t just take their patients off their medication so they can be part of a study. How do you find naive patients for your study recruitment? It makes patient recruitment difficult. Secondly, with globalization, recruiting patients in North America can be a challenge as we are competing with Eastern Europe, South America, China and India. Recruitment in those locations can be rapid due to sheer numbers, and is also more cost-effective. How does the HUB have the advantage over a traditional CRO when it comes to recruitment? The HUB is fully integrated within St. Michael’s which is a teaching hospital, and we’re surrounded by and have established partnerships with other teaching hospitals both locally and internationally. We don’t have to go looking for sites or for patients. When somebody comes to the HUB and wants to recruit sites, patients, networks, experts, and advisory board members, we have access to them in almost any therapeutic area you can think of. We don’t have to go looking for them – they’re all at our fingertips. The HUB leaders have expertise on a global level. It’s not a regular CRO. The resources are here at our door-step. A great example of this is the TARGet!Kids registry, a prospective registry enrolling healthy children aged 0-5 years. The HUB provides data management services for this study and have enrolled around 6000 patients so far. The aim of the registry is to link early nutritional exposures to later health outcomes including obesity, micronutrient deficiency, and developmental outcomes. A follow-up RCT by the researchers focused on looking for healthy children for a vitamin D study. The HUB statisticians worked out that they needed 400 children for the follow-up study and within 6 months of recruitment we had almost met that target! That’s how rapid the recruitment was, and it was directly linked to the innovative way in which the HUB helped set up the registry, to directly support and feed clinical trials. What would you identify as the other key advantages of partnering with an integrated service unit like the HUB? There’s cost which is a major fact these days for both academia and pharmaceutical sectors. As a not-for-profit, the HUB is far more cost-effective than a typical CRO. The HUB’s focus is on the important clinical and scientific impacts of good, effective, and well-considered questions, and answering those questions in the most effective and efficient way. Also, we have experts on our team for protocol and methods development which makes us much more efficient and effective.